natural remedy gall stones | To Health With That! A loyal reader Letty asked me if I had any solutions for gallbladder sludge and stones – which is a great question. This is an issue that troubles so many people, especially women and many make the tough decision about having surgery, partly because they don’t know about other options. First let’s talk a little bit about gallbladders in general and then we’ll get to why they get sludgy and what you can do about it. What Is A Gallbladder Anyway? Your gallbladder sits tucked underneath your liver under the bottom of your rib cage on the right side of your body. Your liver manufactures bile, which helps you to digest fats and also helps you to eliminate fat-soluble toxins. This bile passes through a duct, which is a narrow tube, into your gallbladder. Your gallbladder helps to reabsorb water from the bile to make it stronger and more concentrated. Your gallbladder also holds this bile and stores it until you eat something fatty. When fatty foods enter your stomach your stomach releases signaling molecules that tell you gallbladder to contract, and as it contracts it squeezes that concentrated bile through another duct into your small intestines to help with digestion. For this system to work properly three factors need to be in place. The ducts between liver and gallbladder and gallbladder and intestines must be clear from obstructions, which are usually sludge or stones. 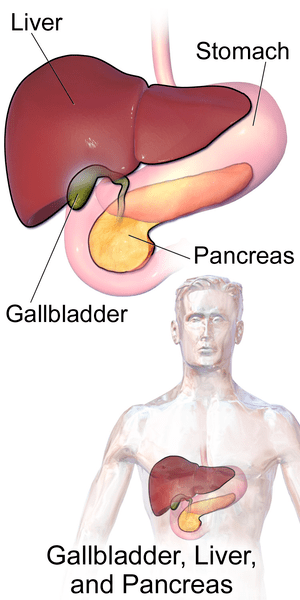 Gallbladder location and connection to liver- natural remedies for gallbladder sludge and stones. What Happens in a Gallbladder Attack? When people have a gallbladder attack it is usually an event they won’t forget for a while. What is happening is that your gallbladder gets the signal to contract to squeeze out bile, but something is in the way – usually either sludge or stones. The sludge or stones can be in the gallbladder itself or they can be blocking one of the ducts. Either way, when the gallbladder squeezes down on something like this, it hurts. It hurts in a really vivid way. Usually people report severe pain after eating that can cause sweating, nausea or even vomiting. A lot of time people will take themselves to the ER because it’s really easy to confuse this type of pain with heart attack pain. Your body keeps squeezing to try to dislodge the sludge or stones, which just keeps hurting, and a lot of times the only thing that really makes it feel better is morphine (or surgery). Why are the Sludge and Stones There In The First Place? If you are actively losing weight, if your body has a lot of fat soluble toxins to deal with, if your diet is higher in fat than it should be or if you’re going through hormone fluctuations then sometimes there is just more fat than there is bile. What can happen in this situation is that the fat and bile bind together to form a sludgy, gluey substance that gets thicker and stickier and eventually clogs up the gallbladder and ducts. Within that sludgy mixture stones can begin to form and grow and the stones can also block ducts – sometimes requiring emergency surgery if they’re blocking a duct completely. Essentially the sludge is just thick, heavy fats that your body couldn’t deal with properly. How Can I Get Rid of Gallbladder Sludge and Stones Naturally? The key to getting rid of sludge and stones is doing four things at the same time. Increase bile production – Stimulate your liver production of bile or actually take bile salts to make sure that lots of bile is flowing through the gallbladder and intestines. Liquify and Move the Bile – Keeping the bile liquid and moving quickly so it can start to wash out the preexisting sludge and stones. Shrink the Stones – If there are stones there, then we have to make them smaller so that they wash out easily. If you suspect stones I would suggest making an appointment with your doctor to see how many there are and how big they are. Dump the Bile – Once bile gets dumped into your intestines it’s out of the gallbladder, but a lot of times we reabsorb that same bile from our intestines to use again, because we’re just hoarders by nature. In this scenario you have to make sure as much bile as possible is actually leaving your body. Increasing the amount of bile produced to help your body flush out gallbladder sludge and stones. Substances that do this are called “choleretics” and fortunately there are some great options out there, and lots of them are foods. My favorite foods that increase bile production are artichokes – you can actually feel your saliva production increase when you eat them, and that same response is happening with bile. Young beet greens and possibly the beets themselves help too. Herbal bile flow stimulants include chamomile, chicory, blessed thistle, and many of the bitter herbs. In terms of finding products, I love digestive bitters before each meal (right now I’m addicted to some from Urban Moonshine – their citrus bitters are the bomb!) Another great way to go is Standard Process A-F Betafood, which makes everything nice and simple, or Panplex 2-Phase from ITI which is a strong digestive complex with ox bile in it. 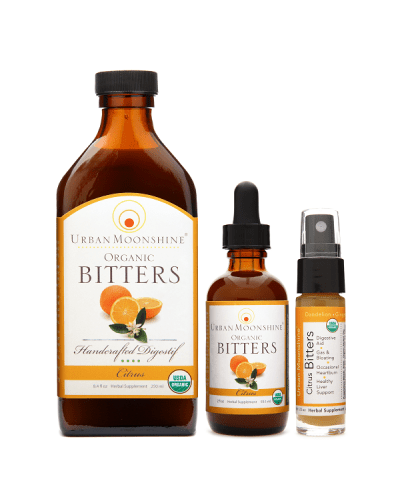 Urban Moonshine Citrus Bitters. A great natural remedy for gallbladder sludge and stones. Choagogues promote discharge of bile from the system – keeping it moving downward out of your liver and gallbladder and into your small intestines. In terms of naturally eliminating gallbladder sludge and stones this is key! Again, all of your bitter foods will stimulate bile flow so adding raw bitter greens like arugula and some of the bitter lettuces or dandelion greens will help. 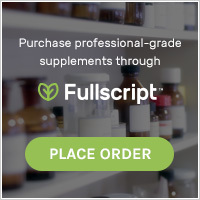 In terms of supplements the digestive bitters are a great idea here too, or liver support products. Some of my favorites include Milk Thistle from Gaia herbs, Lipotrophic complex from ITI or Livaplex from Standard Process. Shrinking gallstones can be tricky naturally, just because we can’t actually break things up, we have to just slowly dissolve them from the surface. This is a long prospect. Essentially we need things that are acidic enough to leech calcium out of stones – but be careful because they’re usually also acidic enough to leech calcium out of your teeth so rinse your mouth out with water after you take them so the acid doesn’t stay on your teeth. My favorites are Standard Process Phosfood liquid – it’s super sour but works great to start shrinking stones. 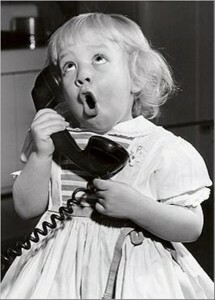 Apple cider vinegar before meals is a great strategy too. We want to prevent the bile that your body is dumping into your small intestines from being reabsorbed. This means binding it to something like fiber so that you can’t reabsorb it at all. Fiber a couple of times per day between meals (with lots of water to also help you flush things through). I really like Fiber Plus powder from Orthomolecular because it’s a good blend of soluble and insoluble fiber and tastes great (apple cinnamon) plus it’s a high dose in every scoop. There are also gallbladder cleanses but they aren’t safe for everyone. You can read more about gallbladder cleanses here. Now hopefully you have a better understanding of what you’re trying to do when you’re cleaning out liver and gallbladder sludge and stones, but if you have any questions or comments just leave them here and I’ll get back to you. The natural methods do work, but if a stone gets lodged in a duct then that is actually a medical emergency and requires emergency surgery so go to the ER if you need to.. Don’t worry – if that happens you won’t miss it. It’s excruciating pain and often jaundice. Otherwise, naturally eliminating your gallbladder sludge and stones is a great way to go. In general incorporating more of the gallbladder and liver friendly foods into your diet would help almost everyone. This entry was posted in Gallbladder, Herbal Medicine, Natural Health and tagged cholegogue, choleretic, digestive bitters, eliminate bile, gall stones, gallbladder sludge, gallbladder sludge and stones, gallstones, natural remedies for gallbladder, natural remedy gall stones on March 18, 2014 by amyneuzil.